LED street lights have gradually instead of traditional street lights and become the "important role" of the road because of their low power consumption, high luminous efficiency, long life, energy saving and environmental protection. The street lights has a long lighting time and is installed outdoors, the quality requirements of the lights must pass. Otherwise, the damage to the luminaire will pose a threat to road safety. Therefore, companies, institutions or engineering companies need to be cautious when purchasing street lights to avoid falling into the procurement trap. 1. Counterfeit chip, low-end chip. The core of the LED luminaire is the chip, which determines the performance of the luminaire! However, some unscrupulous manufacturers use the customer's unprofessional, from the cost considerations, the use of low-cost chips, so that customers use high unit price to buy low-quality products, resulting in direct economic losses And cause serious quality hazards to LED lamps. 2. Configure virtual labels and exaggerate configuration parameters. The profit of solar street lamps gradually decreases, and the fierce competition has also led many solar street lamp manufacturers to start to incorrectly marked the parameters of the product. The wattage of the light source, the wattage of the solar panels, the battery capacity, and even the solar energy poles are all in question. Of course, this is also caused by customers repeatedly comparing prices, requiring low prices, and also related to some manufacturers' production process. 3. Poor heat dissipation design and unreasonable configuration. In terms of heat dissipation design, for every 10 degrees increase in the PN junction temperature of the LED chip, the lifetime of the semiconductor device is multiplied. Due to the high brightness requirements of LED solar street lights, the use environment is strict. If the heat dissipation is not well solved, the LED will be aging quickly and the stability will be reduced. In addition, unreasonable configuration will not achieve the desired results. The first step in purchasing is the light decay test report, which is a very important part. At the time of bidding, each company will provide different units of light decay test reports, some provide their own company self-test, others provide third-party testing. The light test results of the official test report are credible. 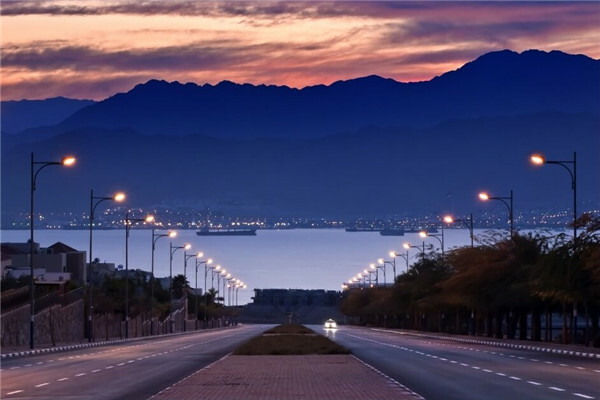 The street lamps used in the roads have high power and generate a large amount of heat. Two problems are detected by the light decay detection: the light decays and the power supply passes. If a street light can't pass the test in the lab, can the quality be guaranteed on the road? Street light structure is rarely noticed in the industry, if the luminaire design structure is reasonable, no reduction in effective heat dissipation area due to pollution. The COB package is more concentrated in heat, and the heat conduction problem can be completely solved by the aluminum bracket or the copper bracket. Light decay is difficult to control. The reason is that the heat sink does not necessarily solve the problem of light source light decay. There is a big misunderstanding in the light source package. The COB light source silica gel is too thick. The thinner the silicone package should be, the easier it is to heat the chip. This is the reason why the light attenuation of the COB source is not well controlled. Next：How to choose quality LED flood lights?